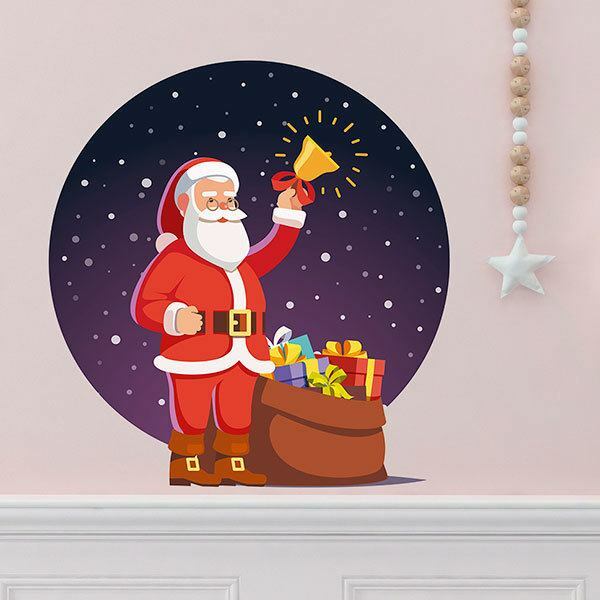 Kids wall sticker Santa brings Christmas. 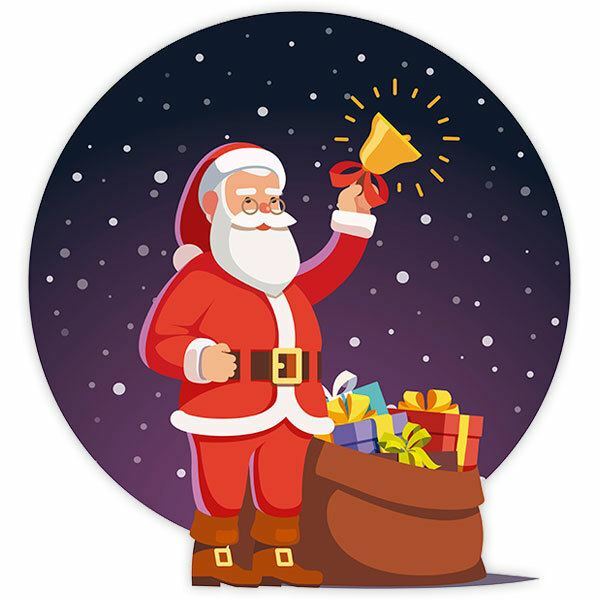 Santa Claus design announcing the arrival of Christmas with a bell. It's night, it's snowing and Santa is ready to start handing out this year's gifts. Ideal for placing next to your Christmas tree. Size: 94 x 43 cm. 7.09 x 7.87 in. 11.02 x 11.81 in. 14.57 x 15.75 in. 18.50 x 19.69 in. 22.05 x 23.62 in. 25.98 x 27.56 in. 29.53 x 31.50 in. 33.46 x 35.43 in. 37.01 x 39.37 in. 40.94 x 43.31 in. 44.49 x 47.24 in. 48.43 x 51.18 in.